Hat tip to Michael Bernstein for pointing out this fascinating talk on Google+. This is a speech by Shelley Correll from Stanford University. It’s not a new talk, but it’s worth a listen. 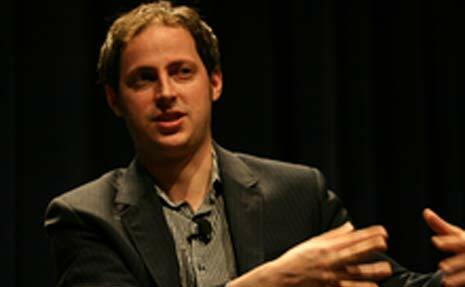 Nate Silver is a statistician. On election day his blog Five Thirty Eight at The New York Times accounted for 20% of all the traffic at the newspaper. That’s because Nate Silver had been standing up for his statistical analysis of the voting trend numbers and predicting Obama’s win for days before election day. Keep in mind we’re talking about a mathematician here. But his name was all over Twitter and the news because he knows how to crunch numbers. So here’s to Nate Silver. May his name become an inspiration to young people who are thinking about a career in some branch of mathematics. Say Hello to the Open Source Decade by Laura Scott. Open Source has been around for quite some time, but odds are most people you ask won’t know what “open source” is. This isn’t because open source is obscure, but rather it has slipped into the mainstream, and unless you’re already in the know, there’s no real reason you will have noticed it. Planting seeds of science interest in kids of all ages is a great list of resources leading to programs of all sorts meant to bring kids into STEM fields. Just after 4 pm on December 6, 1989 a man carrying a semi-automatic rifle entered the École Polytechnique in Montreal, Canada and shot 28 people. He killed thirteen… all women… most were engineering students. In the twenty years since, these women have been remembered each December in memorial ceremonies at engineering schools across Canada and around the world. Probably every Canadian who remembers, or knows about, this event could name the murderer, but sadly few would be able to name even one of his victims. So I will name them here – but I will not name him. Never him. Here’s more on Canada’s National Day of Remembrance at Geek Feminism Blog: Marking the National Day of Remembrance and Action on Violence Against Women. For twenty years, women have been waiting for action. Twenty years is too long. On this anniversary of the December 6th murders, Canadians can take action to demand a serious government commitment to ending violence against women. The Canadian Labour Congress has developed a campaign asking Canadians to send 20 postcard messages to the federal government. The campaign is called “20 Days 20 Ways to End Violence Against Women”. An article in the Moose Jaw Herald states that the ceremony in Moose Jaw will emphasize action as well. Karen Closs, executive director of transition house, said this year the ceremony, which is going to be held at the Moose Jaw Museum and Art Gallery at 2:30 p.m. Sunday, is going to focus more on the action part of the day, opposed to the remembrance. UPDATE: See this article at BlogHer by SassyMonkey, a Canadian blogger: 20 Years after the Montreal Massacre We Still Remember.